The old saying about having to spend money in order to make money may be more applicable to the furnace you use to heat your business than you think. When you run a business you have a lot on your plate pretty much all the time. That is no excuse to neglect the regular, professional maintenance service that your commercial furnace needs to operate successfully, though. If you own a business in Columbus, Quality Air Heating and Air Conditioning can help you succeed. Contact us today schedule the routine maintenance services your furnace needs to operate at optimal performance and efficiency levels. It should come as no surprise to any business owner that the happier your employees are the harder they are likely to work for you. Well, it is more difficult to look forward to coming into work when you have an uncomfortably cold environment waiting for you. Do not put your valued employees in an uncomfortable situation. Help your business succeed by keeping your employees comfortable and productive. The comfort levels within your place of business are just as important for potential employees as they are for existing ones, not to mention customers and clients, potential and existing also. It is difficult to really sell yourself and your business if visitors to your office or store are uncomfortable. It simply makes a bad first impression. Show clients and employees alike that you care about your business by keeping your furnace operating at the level it needs to achieve. Finally, paying the money to keep up with regular furnace maintenance will help your business save more money over time. Frequent furnace breakdowns at home can be costly and annoying, but in a business setting they can be disastrous. Do not have to miss out on a day of work, production and profits due to furnace trouble that could have been averted with the proper maintenance services. Let us help your business succeed. 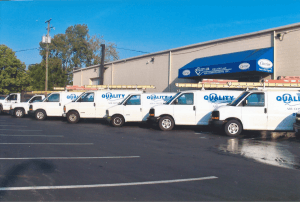 Contact Quality Air Heating and Air Conditioning today to learn more about the difference that our professional furnace maintenance services can make for your business. Schedule service in Columbus today.